We are able to reach out to a much larger target audience through Hatchbuck's platform. All in all, Hatchbuck has allowed us to be more organized and efficient when managing our contacts and customers. For franchise businesses, staying organized and communicating efficiently can skyrocket growth. High Touch High Tech – Science Made Fun is a franchise providing hands-on science and educational experiences for children ages 3 – 12 years old. Their team is passionate and committed to enriching the lives of students across the United States and worldwide. Jo Lynn Jordan is the Manager of Corporate Owned Franchise Operations. She manages reservations, scheduling, digital marketing, and customer service for their corporate-owned locations. “We pride ourselves on being a tremendous resource and asset to the students, faculty, schools, and parents that we serve,” says Jo Lynn. As a growing franchise, staying organized was a hurdle for High Touch High Tech. They needed an all-in-one database that would include CRM, email marketing, marketing automation and analytics. Hatchbuck checked all of the boxes. With all the tools in one suite, now they can easily manage contacts, emails and campaigns. And, because the data is all in one place, it’s much simpler to measure results and see the big wins. Email marketing is crucial for keeping High Touch High Tech top-of-mind for their target market. Tools like Mailchimp and Constant Contact can be useful for creating newsletters but lack the CRM functionality of Hatchbuck. With Hatchbuck, Jo Lynn and her team quickly create emails in the email builder, then send to an updated, segmented list from the CRM. Each step of the email creation and delivery process is managed in one place. 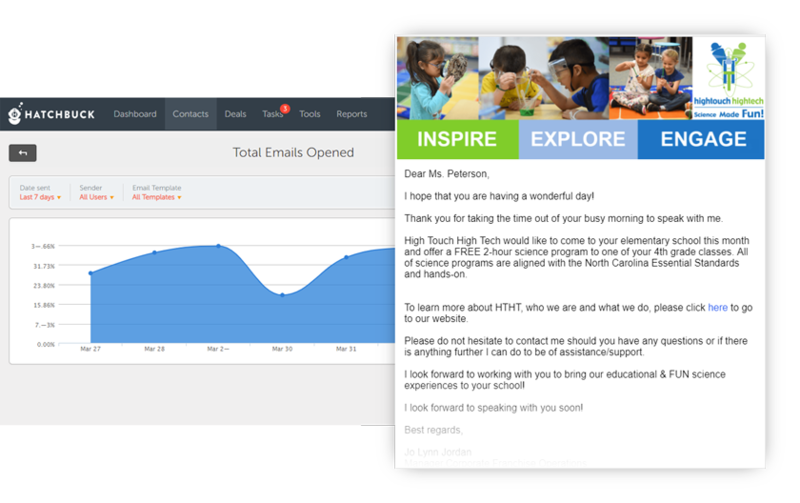 With an all-in-one CRM and marketing platform, High Touch High Tech can also track performance and make modifications to email content to improve engagement. They can schedule emails and campaigns in advance and are able to create a follow-up cadence that works best for their prospects and customers. 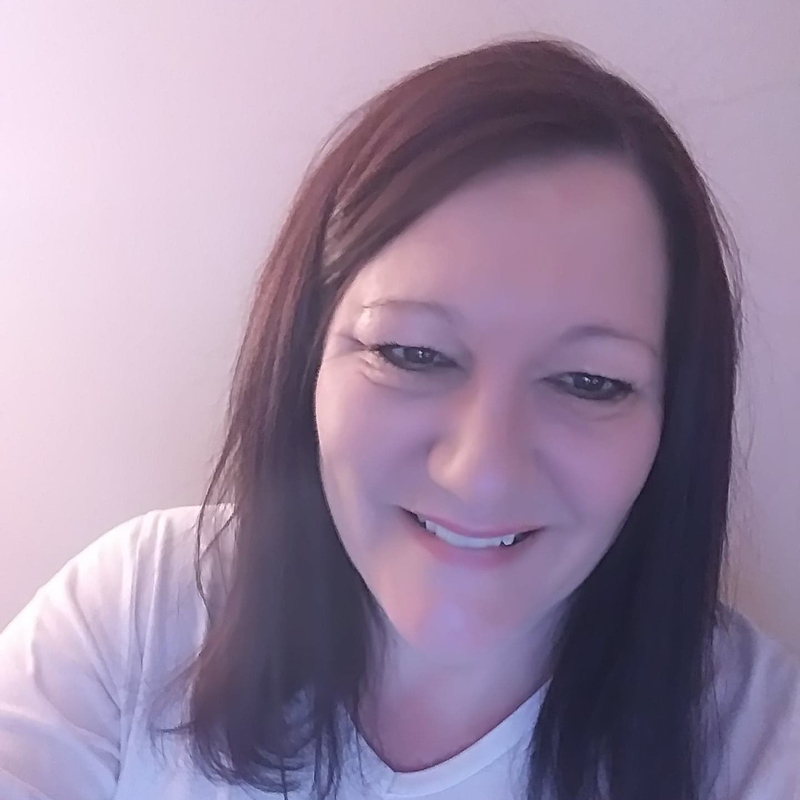 “All in all, Hatchbuck has allowed us to be more organized and efficient when managing our contacts and customers,” says Jo Lynn. According to Jo Lynn, the ability to schedule communications as well as develop multi-piece campaigns and schedule the launch date in advance has been awesome. Like most franchises, High Touch High Tech manages multiple locations and serves diverse geographies. It’s vital that they are able to communicate the right message to their target audience. When asked why she would recommend Hatchbuck to other businesses, Jo Lynn says that keeping contacts and customers organized is a gamechanger. She loves that they are able to record sales efforts, supply their customers with the right information, and substantially increase brand awareness. “We are able to reach out to a much larger target audience through Hatchbuck’s platform,” Jo Lynn says. With Hatchbuck, Jo Lynn is able to further enrich the lives of children locally and globally through High Touch High Tech’s educational STEM programs. It’s a huge win.